I realized that I never posted about my temporary wallpaper experience! 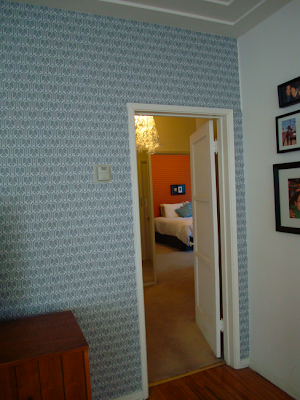 A few weeks ago, I put up a few rolls of Tempaper wallpaper. 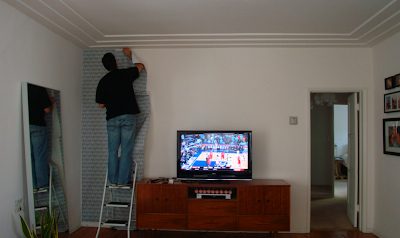 This temporary wallpaper comes off as easy as it goes up. Seriously. We love the look + vibe of our small space with the paper up. 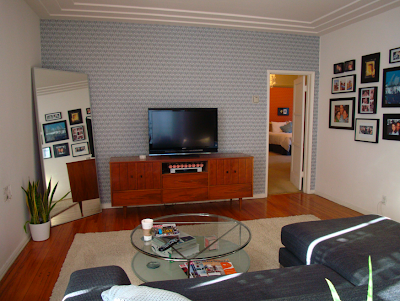 We put it on 1 wall in the main room and 1 wall in the bedroom and it changed the whole look of the space. Click here to check it out. Thanks for sharing. What is the texture of the paper? Is it vinyl or paper? I looked at the website and was not certain. Would it work in a bathroom? Hi, Kareena! It's not vinyl, but rather just paper. Just peep the wax paper back and "paste" up each sheet. The paste is almost like a post-it note that will always work (if that makes sense). As far as a bathroom, it should work in there. Send an email to the girls and I a sure you will hear back. Have fun! This is so cool! I haven't seen how much it costs yet, but it might be my solution to the one ugly wall in my rental that I just can't do anything with. If you don't mind me asking, what was the cost of wallpapering with this stuff for you and what was the size of the walls you were working with? Hi Amanda! You can email Tempaper for quotes. Not sure if they are change with the prints. I need 2 rolls for each wall. this looks amazing! I am so happy I came across your blog. That orange wallpaper is fantastic. So inspirational for design. Convince me I need to look into buying some :) I love it, great post! love this idea...wish they had more options....! I've been thinking about using this temporary paper for a while. It looks great on your walls!! 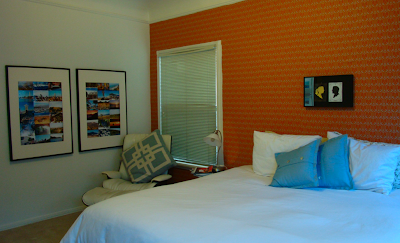 The wallpaper idea is great, especially for people like myself who are renters. 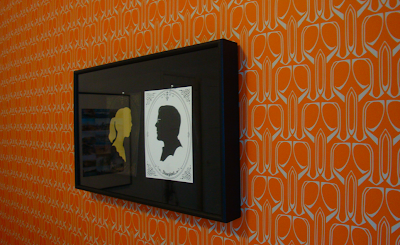 I absolutely love the orange wallpaper, it is a really great alternative to painting. I am definitely looking into wallpapering for when I move into my new apartment this summer. Thanks for the great ideas! I love tempaper too. I bought the damsel black and white at http://www.couturedeco.com. It looks amazing in my living room.